Thank you for the opportunity to speak on your blog, Emma, I appreciate it. 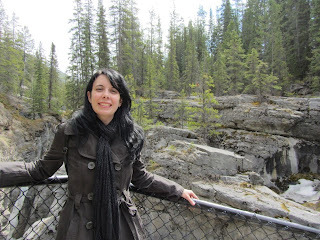 I was so excited to be part of the Book Blogger Fair, mainly because I get to discover so many good books as well as spread the word about my own. I have always been obsessed with books and stories that I feel so lucky to be able to make my own. 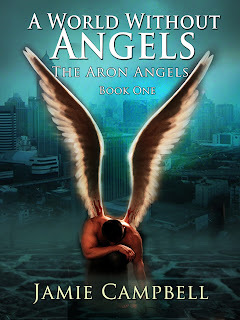 My latest release is called The Aron Angels series. It starts with A World Without Angels and continues on with Angel’s Uprising. In the series, we follow guardian angel Jerome as he inadvertently falls to Earth in an attempt to save the angels against the demons waging war on them. While on Earth, he falls in love with the human Leila and together they must solve the ancient prophecy and save the angels and humans alike. Finding love in a forbidden place, Jerome and Leila find themselves fighting to be permitted to stay together as they take on the angel council. A World Without Angels and Angel’s Uprising are available now for your kindle. The prequel Before The Fall is currently free now for you to download and get a feel for the series. My pleasure - I will send you a photo that I think you will like - watch out for it in your inbox - it's my favourite angel.